Mazda has developed a technology to recycle bumpers from end-of-life vehicles into bumpers for new cars, saying it’s the first automaker to “close the loop” on bumper recycling. Bumpers make up a large proportion of the plastic used in vehicles, and when a car reaches the end of its useful life, bumpers are typically shredded and incinerated to recover heat energy, the company says. 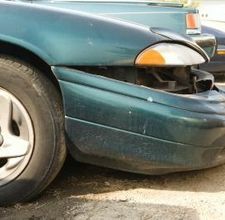 Because many end-of-life vehicles are over 10 years old, the composition of the bumper’s polypropylene plastic and the adhesive properties of the paint vary considerably, creating a challenge to recycling the bumpers into new products. To overcome these barriers to recycling, Mazda began designing its bumpers to be easily recyclable in the 1990s and developed technologies to remove paint from old bumpers. In 2001, Mazda used the plastic harvested from old bumpers to reinforce new bumpers, but as its paint-removal technology improved, the company began recycling the plastic resin into new bumpers for select vehicles and replacement painted bumpers. Mazda and others are doing this not (just) because it is the right thing to do, but because it saves them money, and because increasingly savvy consumers expect it, maybe even demand it. And, government didn't even need to regulate that they do so.